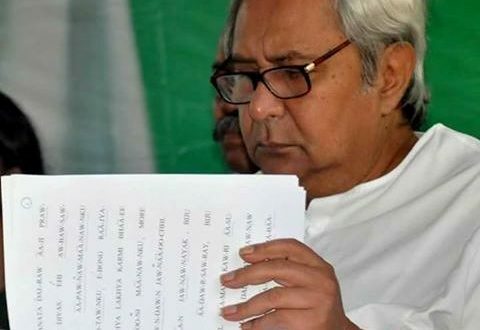 Bhubaneswar: Odisha Chief Minister Naveen Patnaik’s Odia speech written in English went viral on social media on Thursday with several mocking his poor understanding of the mother language of the state. The speech delivered by the Chief Minister at the foundation day of Biju Janata Dal (BJD) has gone viral on social media Facebook. Even people are sharing it on Whatsapp. 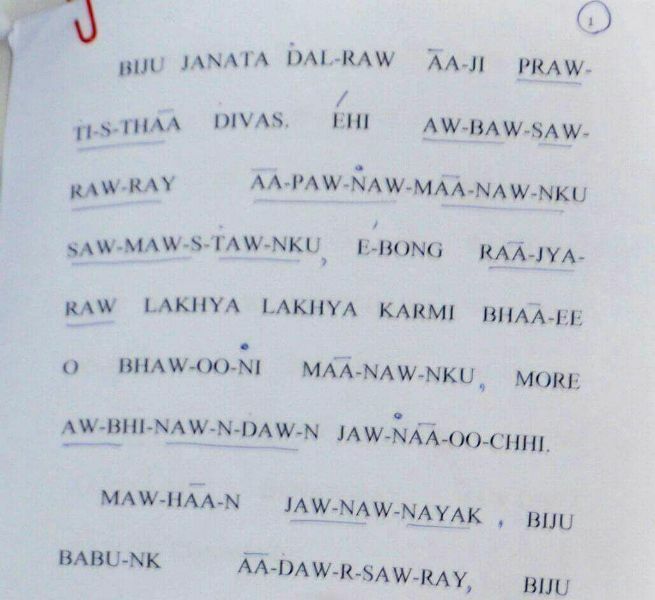 “BIJU-JANATA-DALRAW AA-JI PRAW-TI-S-THAA DIVAS. EHI AW-BAW-SAW-RAW-RAY AA-PAW-NAW-MAA-NAW-NKU SAW-MAW-S-TAW-NKU E-BONG RAA-JYA-RAW LAKHYA LAKHYA KARMI BHAA-EE O BHAW-OO-NI MAA-NAW-NKU MORE AW-BHI-NAW-N-DAW-N JAW-NAA-OO-CHHI,” this is what the Chief Minister delivered. Several social media users criticized Naveen Patnaik for his poor understanding of Odia even after ruling the state for 16 years in a row. “It is very sad that the CM Odisha could not learn to speak Odia even after being the CM for last seventeen years. 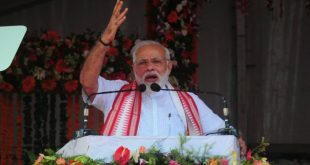 This means that he has no interest in learning the language,” said Prem Mohanty in a Facebook post. 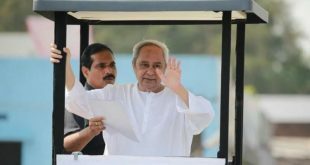 Opposition parties, as well as organizations working for the promotion of Odia, have been criticizing Patnaik as he has not been able to deliver a speech in Odia since he became Chief Minister in March 2000. Notably, the activists of National Students Union of India (NSUI) had attempted to reach out to Chief Minister Naveen Patnaik to teach him Odia. 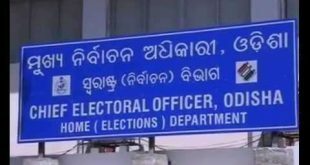 They had marched to the Chief Minister’s residence holding Odia language primer ‘Chhabila Madhu Barnabodha’, chalk, duster, slate and other stuff.